Despite its relative youth, Zweigelt is actually an Austrian classic. This variety was created in 1922, when Dr. Fritz Zweigelt crossed two grapes - St Laurent and Blaufränkisch. Originally, it was intended for the new variety to be called Rotburger, referring to the place where it was born, Klosterneuburg. But this name never took hold, and instead, Zweigelt was named after the man who was the key in its development. 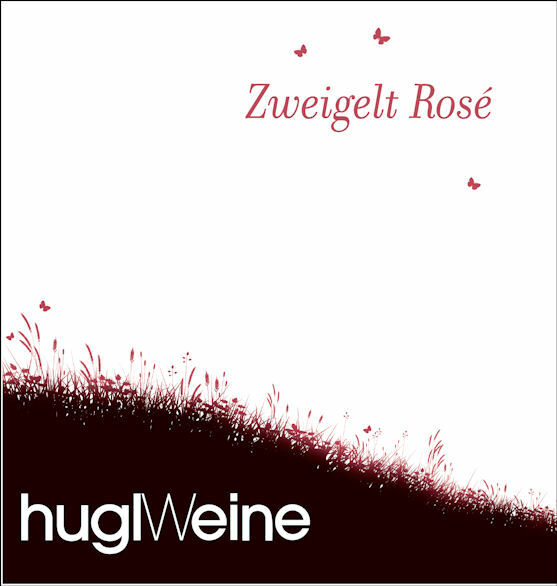 Today, Zweigelt is the most widely planted red variety in Austria, growing in nearly 9% of this country's vineyards. It is a robust grape, highly resistant to dryness, frost and various diseases. The wine boasts a pale rosé color, it has plenty of fruity aromas, with red cherry and wild strawberry flavors. It is medium-bodied, but it still have a nice long and pleasant finish with a light cinnamon type of spice to it. Only the best grapes are harvested with a lot of experience and know-how and further processed. The grapes are fermented directly gently pressed and cooled. The fermentation takes place exclusively in stainless steel tanks. Perfectly at home on any picnic, delicious with fried chicken, and tames the heat when paired with spicy dishes. There is also a slight watermelon note that makes it perfect for spring and summer. A great pairing with barbecued shrimp. This is a young family-run winery located in the north-east of Austria, in Ketzelsdorf-Poysdorf. The owners Sylvia and Martin Hugl aim to produce fruity, full-bodied wines that are typical of the region and the soils. They make use of the experience of their parents and combine it with their know-how and modern techniques to create high-quality wines. To keep quality high they limit quantity by cutting back, thinning, and green harvesting. A careful handling of the grapes during harvesting is as necessary, along with a cool fermentation in the cellar. For the European market they use only varietal names and offer two types of wines made from Grüner Veltliner: Weinviertel DAC – a regional brand with specially controlled quality and rules for selling it, and Grüner Veltliner classic as a second type of Grüner. In addition to using the best cellar technologies, they emphasize the work in the vineyards and the soils. Prime south- and south-west-facing hillsides and the loam soil ideally suited for wine growing are the basic conditions for high quality. They own and cultivate 22 hectares of vineyards and cooperate additionally with several partners who are cultivating grapes according to their quality targets. They buy grapes from 25 hectares of vineyards. Grüner Veltliner is the most widely planted grape variety in Austria, accounting for 37% of the country's total vineyard area, about 50,875 acres. Most of these vines are in the large wine region known as Niederösterreich (Lower Austria), along the Danube River, north of Vienna. It also grows in a few other Eastern European countries, such as Slovakia, Yugoslavia and the Czech Republic, but the variety is most closely associated with Austria, where it has been cultivated since Roman times. Grüner Veltliner is the indigenous variety of Austria.